ad@utahodyssey.org or 435-659-5357. Program information is also available at www.utahodyssey.org or www.facebooklcom/utahodyssey. 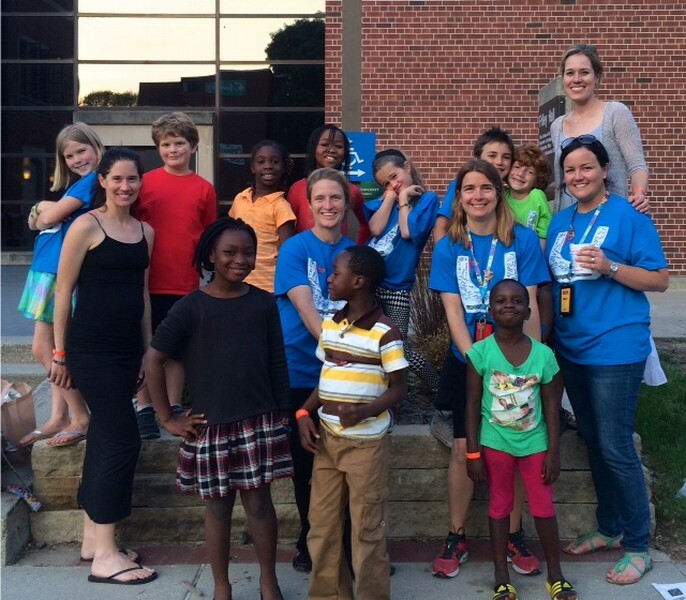 Students from the Weilenmann School of Discovery spent time in Ames, Iowa at the Odyssey of the Mind World Finals with their buddy team from Togo, West Africa. Photo courtesy of Jenny Zachry. Last week, two Odyssey of the Mind teams from the Weilenmann School of Discovery and a team from Ecker Hill Middle School competed at the World Finals in Ames, Iowa at Iowa State University. At the competition, which ran from May 28 through June 1, the three teams competed against 830 other teams from almost all 50 states and 15 different countries. Odyssey of the Mind aims to teach students how to solve problems creatively with a maximum of seven students per team. 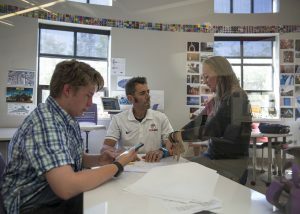 Jenny Zachry is the Utah Odyssey of the Mind association director, and she said the students must learn to work as a team to solve one of the six problems they are presented with every year. This year’s problems were Driver’s Test, the Not-So-Haunted House, It’s How We Rule, the Stackable Structure, Seeing is Believing and The World’s First Art Festival. The teams are presented with a cost limit to build the sets and props they use during a performance in which they solve one of the problems. While the teams did not place at World Finals, Weilenmann School of Discovery’s Division I elementary school team won one of only four OMER Awards granted at the competition. The Not-So-Haunted House team was led by Heather Campbell, and Zachry said they won the award for the creative way they recovered from their backdrop falling down on them as they performed. "Instead of freaking out, one of the kids yelled, ‘Hurricane!’ and the rest caught on and went with it," she said. "I love what the program said about them, which was that they ‘turned what should have been a tragedy into one of the funniest skits of the day.’ That is exactly what they did." Utah’s Odyssey of the Mind program is only five years old, and Zachry said being exposed to all the great teams, skits and props at World Finals will help the young program to grow and improve. 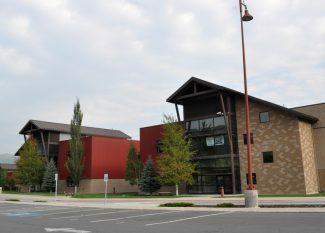 Students were encouraged to walk around the competition and learn from other teams whose programs have been around much longer than Utah’s. The teams were also paired up with a "Buddy Team," including one from Togo in West Africa. They spent time with the international students throughout the competition and participated in a "cultural exchange." Students from Weilenmann offered them gifts from Park City, and they received gifts from West Africa. Zachry said one of the Park City team members called the competition the "Olympics for the Nerds" due to the grand-scale opening ceremonies. Over 10,000 people were at the event which presented each "delegation" to the audience. 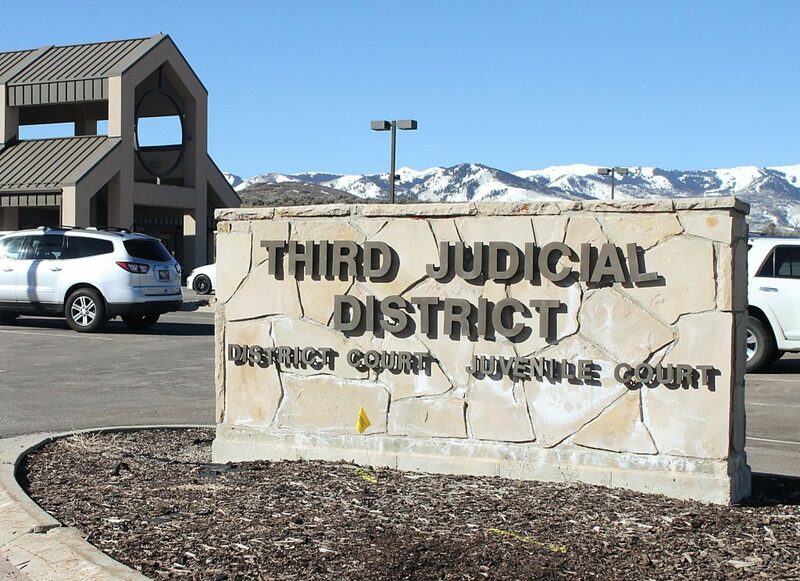 "You can tell kids there will be between 10,000 and 15,000 people, but they had no idea what that really meant until they actually saw it," Zachry said. "Their faces, wide-eyed and shocked, were the best part. They had so much fun." Pin-trading is a big part of the competition, she said, and got students out of their comfort zones and meeting people from all over the world in order to collect as souvenirs. Zachry added that the Odyssey of the Mind program not only teaches students how to be creative and become problem-solvers but also gives students not involved in sports a competitive outlet. 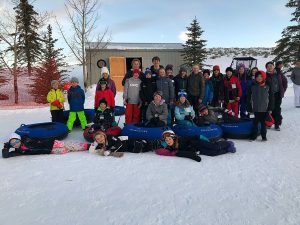 "Park City offers its students so many opportunities for events like this for athletic purposes, but to see the kids have something like this where they can compete in an academic program is great," she said. "I don’t think they get enough opportunities like these, so to see them enjoy it and watch the program grow is a wonderful thing." 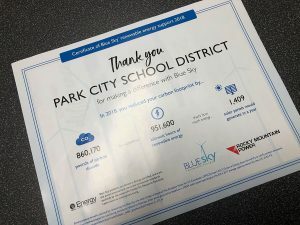 There were several teams in Park City this year at Jeremy Ranch Elementary, Parley’s Park Elementary, Trailside Elementary, Ecker Hill Middle School and Weilenmann School of Discovery, but Zachry said she would love to see more teams next year from each school in the district. The way teams are established, Zachry said, is by a parent or community member who leads up a school or community program team. For more information on how to start a team, contact Jenny Zachry at ad@utahodyssey.org or 435-659-5357. Program information is also available at http://www.utahodyssey.org or http://www.facebooklcom/utahodyssey.